The 2017 World Series of Poker Europe at the King's Casino in Rozvadov has come to an end, and it was Marti Roca De Torres who ended up with all chips in the €10,350 Main Event after an extensive heads-up battle of around four hours against Gianluca Speranza. 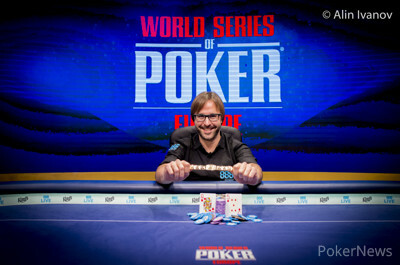 Back in 2011, the Italian came close to winning a WSOP bracelet after finishing 2nd to Andrew Hinrichsen in a €1,000 Event of the WSOPE in Cannes, and he once again ended up as the bridesmaid for a career-best payday of €689,246. The victory of Roca De Torres is a cinderella story indeed, as the Spaniard quit his job as an economics teacher a few years ago to concentrate on his passion of poker, and he won his entry through a €220 satellite on 888poker.es before turning that into astonishing €1,115,207. When asked about the day and especially all the setbacks, the Spaniard thanked his friends on the rail that motivated him and gave him power. Roca De Torres also sent greets to his young daughter and partner before sharing the news of expecting another child. The Catalan took a commanding lead early on and his fate seemed all but sealed before the rest of the day turned into a roller coaster ride. “At this point I thought that I was going to win for sure because I was in a perfect situation.”For a moment I thought it’s done. Then, for a moment it looked impossible. But finally I was growing my stack hand by hand. I tried to play hand by hand and don’t think in the future. Because I thought in the future and this is bad thinking," Roca De Torres added during the winner interview. Many hours prior to that, Dutchman Mathijs Jonkers, who organizes the open Dutch Championship of Poker, an amateur poker championship with more than 10,000 players competing each year in an individual and team championship in his home country, had the most vocal rail and eventually finished in third place for €476,585. Robert Bickley, who started the day at the bottom of the counts with a mere ten big blinds, seemed like a cat with nine lives and survived more than half a dozen all ins before bowing out in 4th place for €335,089. Niall Farrell and Maria Ho had to settle for €239,639 and €174,365 respectively after their three-way all in with Roca De Torres. Robert Bickley doubled up in the very first hand of the day when his ace-queen held up against the king-jack suited of Marti Roca De Torres. Despite this early setback, the Spaniard pulled into a comfortable lead after winning two big pots versus Maria Ho, the latter with queens against king-queen on a queen-high board. The second level of the final day started with a bang, as Niall Farrell doubled into second place with jacks against the pocket deuces of Maria Ho, who had three-bet pushed out of the big blind. Ho, who started the day first in chips, never recovered from that while Robert Bickley scored a lucky double with ace-four against the ace-eight suited of Marti Roca De Torres. What followed was a dramatic three-way all in that sent both Maria Ho and Niall Farrell to the rail in spectacular fashion. Short, Ho pushed for 10 big blinds with ace-jack and Marti Roca De Torres just called out of the small blind with pocket aces. Farrell in the big blind moved all in over the top with pocket kings and Roca De Torres snap-called to send both to the rail after a blank nine-high board and take an overwhelming lead with four players remaining. 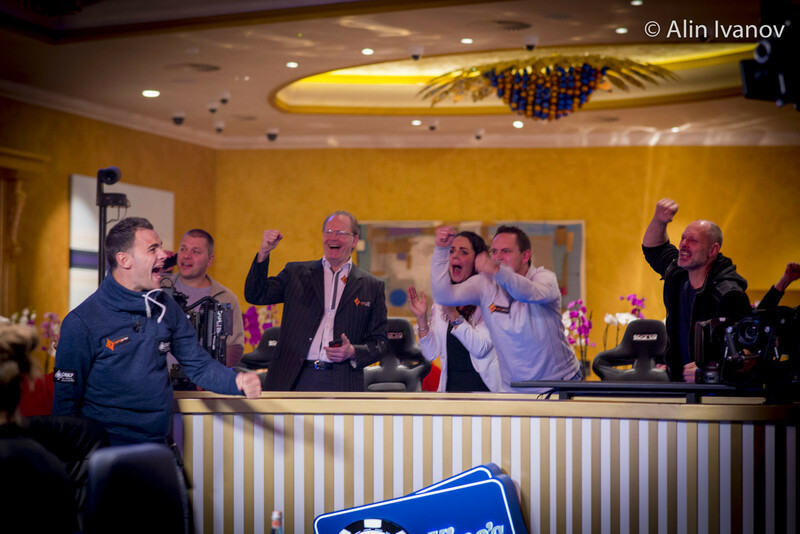 Down to the last four players, Mathijs Jonkers and his rail went bonkers when their favorite scored back-to-back double ups against Marti Roca De Torres, triggering chants of "let's go Jonkers let's go" that could be heard throughout the casino. The very next hand the Spaniard lost yet another all in against Robert Bickley and an incredible endurance challenge took place after with the chip lead changing several times. Bickley ended up winning a dozen all in showdowns before he got short again and jammed out of the small blind with trey-deuce off suit. 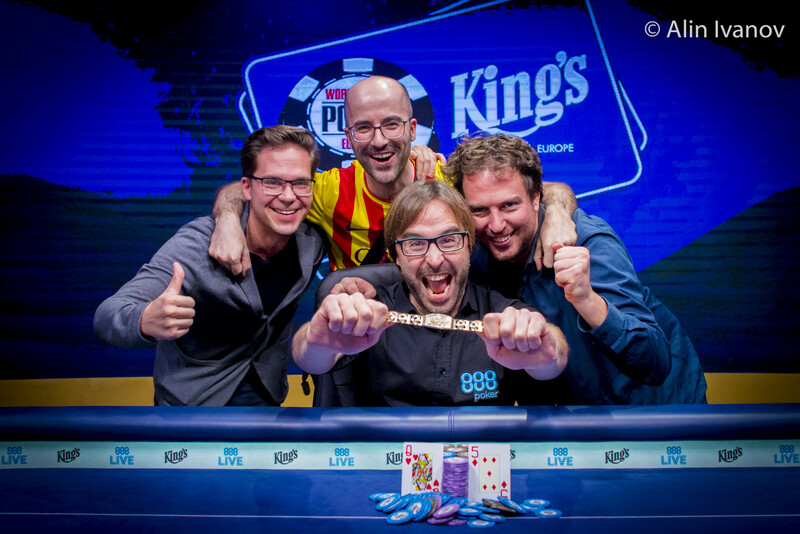 Mathijs Jonkers called in the big blind with ace-seven suited and a deuce on the turn was followed by a third spade on the river to let the Dutch rail go wild. 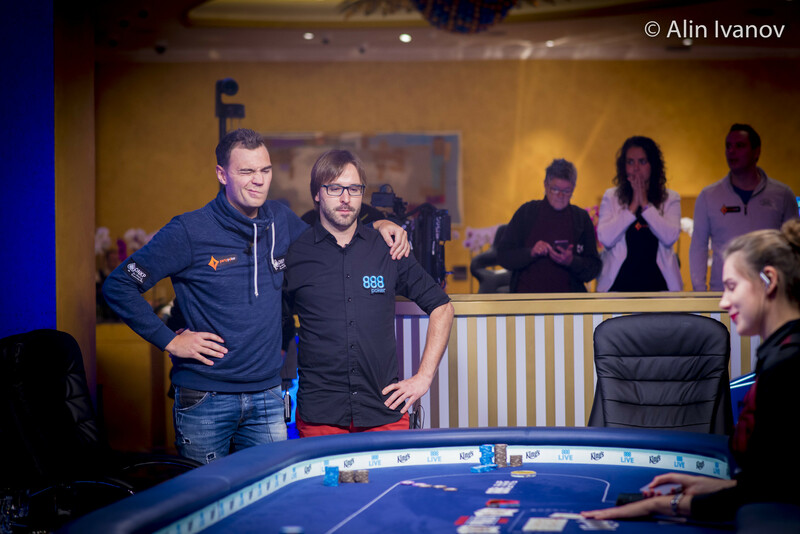 The all in showdowns didn't stop right there and it was Mathijs Jonkers that doubled once before losing almost all of his chips to Marti Roca De Torres. The Dutchman doubled twice to around ten big blinds before his run came to an end in third place. Jonkers three-bet for most of the stack with ace-seven and called it off against the shove of Gianluca Speranza, who held ace-ten suited. The seven of spades on the turn left Jonkers drawing dead, as Speranza's nut flush was unbeatable already. Heads-up kicked off with a three-to-one lead for Gianluca Speranza and the Italian maintained his lead by playing many small pots under the watching eyes of roommate Mustapha Kanit. However, a move with fourth pair went wrong and Marti Roca De Torres hero-called with just third pair to take a narrow lead. 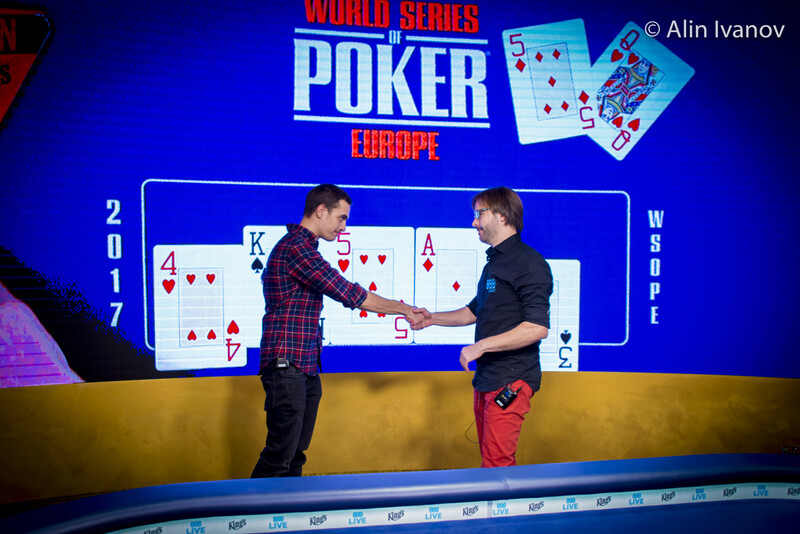 The Spaniard was at risk twice, chopping ace-jack to ace-jack and ace-four to ace-jack despite flopping a wheel in the second hand before a simple coin flip decided over the final outcome of the tournament. Roca De Torres shoved with pocket fives and Speranza called with ace-jack. An ace on the flop let the Italian rail cheer, but they fell silent as soon as a five on the turn left their favorite drawing dead. Speranza was all in for fewer than two big blinds the next hand with ten-eight versus queen-five and the miracle never happened to crown a champion more than 14 hours after the last six first sat back down in their chairs. The European pendant to the Main Event in Las Vegas had a guarantee of €5,000,000 and that amount was surpassed thanks to 529 entries in total throughout two starting days. The money bubble burst mid-way through Day 3, ensuring a min-cash of €15,131 to the top 80 spots. Among those to join the rail after before bagging and tagging were Dominik Panka (76th place - €15,131), Matas Cimbolas (71st place - €15,721), 2015 WSOPE Main Event 5th place finisher Kilian Kramer (67th place - €15,721), William Kassouf (64th place - €16,710), Belgian poker stalwart and 2015 November Niner Pierre Neuville (53rd place - €18,162), and Philipp Gruissem (47th place - €20,175). Former tennis star and poker aficionado Evgeny Kafelnikov was among the first casualties on Day 4 and finished in 45th place for €20,175, followed by David Peters (44th place - €20,175), WSOP Bracelet winner Mike Leah (39th place - €22,895), €1,115,207 (36th place - €22,895), Maria Lampropulos (33rd place - €22,895), WSOP bracelet winner Anthony Zinno (24th place - €31,377), Rainer Kempe (22nd place - €31,377), and two-time WSOP Bracelet winner Kristen Bicknell (18th place - €31,377). Only 12 players remained in contention for Day 5 and among those was also defending champion Kevin MacPhee, who won his second WSOP Bracelet in the Spielbank Berlin and €883,000 back in 2015. MacPhee won a dramatic flip against Marc MacDonnell to see the Irishman bow out in 11th place for €58,455. However, the fortune of MacPhee changed soon after when his pocket kings failed to hold up against the combo draw of Maria Ho and he had to settle for 10th place and €74,737. The elimination of online qualifier and chess player Stepan Osinovski in 9th place for €74,737 set up the official eight-handed final table and several all in showdowns later, it was Luis Rodriguez (8th place - €97,344) and Jack Salter (7th place - €129,121) that missed out on reaching the final day. That brings an end to the PokerNews updates here from Rozvadov, but the next exciting live event are already around the corner, so make sure to check back regularly. Hand #269: Marti Roca De Torres moved all in for 12.725 million and Gianluca Speranza called. The flop improved Speranza, but Roca De Torres spiked the on the turn to lock up the double, making the river a formality. Hand #270: Speranza was all in for his last 775,000 and Roca De Torres called. 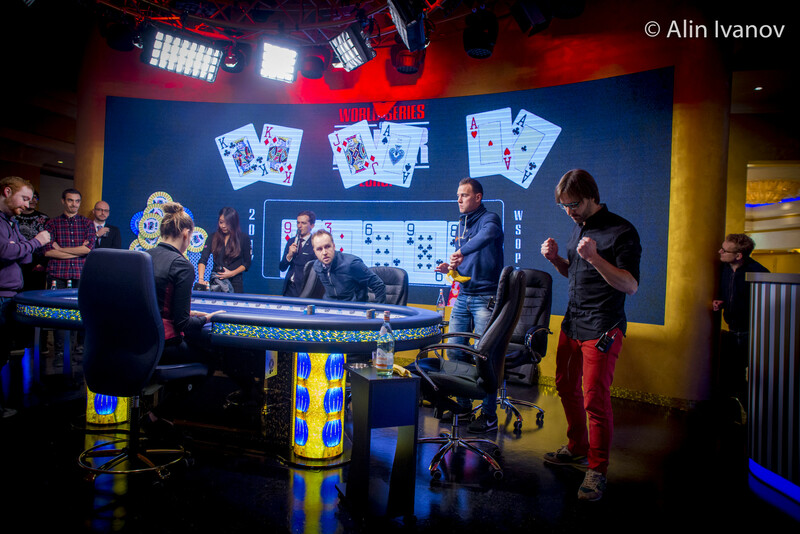 The board of brought an end to the fierce heads up battle, eliminating Speranza in 2nd place for €689,246. Roca De Torres, who seemed to be poised to win it two levels into the final day, recovered from several setbacks to claim the title, payday of €1,115,207 and first gold bracelet. A recap of today's action is to follow. Hand #266: Gianluca Speranza limped in with and Marti Roca De Torres checked with the . On the flop, Roca De Torres check-called a 600,000 with his second pair and the turn paired the board. Both players checked and the river brought no betting action either, which saw the chips being sent over to Roca De Torres. Hand #267: Roca de Torres limped in with the and Speranza checked with . 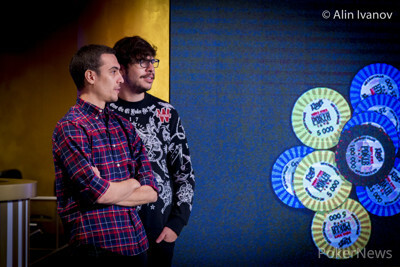 On the flop, Speranza checked and subsequently check-raised a bet of 525,000 by Roca De Torres to 1.6 million. The Spaniard called and both players checked through the on the turn and the on the river, vaulting Roca De Torres into a narrow lead. Hands #268: Speranza limped in with and Roca De Torres checked with . 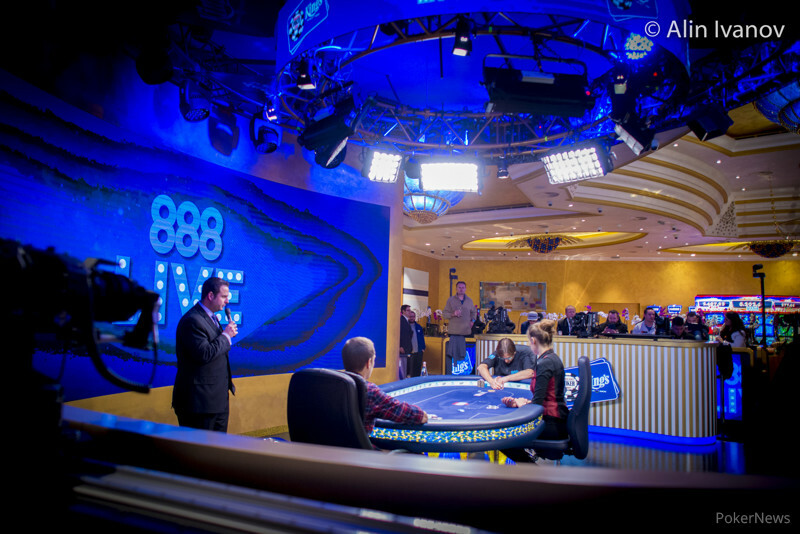 On the flop, the Spaniard checked and Speranza bet 600,000 to regain the narrowest possible lead. Hand #260: Gianluca Speranza limped in with the and Marti Roca De Torres shoved with the to force a quick fold. Hand #261: Roca De Torres limped in with the and Speranza raised with the to take down the pot preflop. Hand #262: Speranza limped with and Roca De Torres checked with the . On the flop, the Spaniard checked and Speranza bet 600,000 to win the pot uncontested. Hand #263: Roca De Torres shoved with and Speranza folded the . Hand #264: Speranza limped with and Roca De Torres checked with . The flop fell and a check was followed by a bet of 600,000 by Speranza, which ended the hand right there. Hand #265: Roca De Torres jammed for 9.950 million and Speranza called to have the Spaniard dominated. The flop gave Roca De Torres a wheel, but the turn and river ensured a split pot. Hand #255: Marti Roca De Torres went all in with for 8,300,000 and Gianluca Speranza folded. Hand #256: Speranza limped the small blind with and Roca De Torres shoved all in with for 8,950,000. Speranza called. The board ran out and the players chopped the pot. Hand #257: Roca De Torres limped the small blind with and Speranza checked his option with . The flop came and Speranza checked. Roca De Torres bet 550,000 and Speranza raised to 1,500,000. Roca De Torres went all in and Speranza folded. Hand #258: Speranza limped the small blind with and Roca De Torres shoved all in with and Speranza folded. Hand #259: Roca De Torres limped the small blind with and Speranza checked with . The flop came and both players checked. The turn was the and Speranza bet 500,000. Roca De Torres called. The river was the and Speranza bet 1,800,000. Roca De Torres folded. Hand #249: A walk for Gianluca Speranza with the . Hand #250: Speranza limped in with and Marti Roca De Torres checked with the . The flop of was followed by a check of the Spaniard and a bet of Speranza, which ended the hand right there. Hand #251: Roca De Torres moved all in with the and Speranza folded his . Hand #252: Speranza limped with and Roca De Torres checked with . The Spaniard checked the flop and quickly folded to a bet. Hand #253: Roca de Torres shoved with and received no call. Hand #254: Speranza limped with and Roca De Torres checked with . On the flop, Roca De Torres checked and called a bet of 500,000 by Speranza. The on the turn was checked through and the river paired the board. Roca De Torres checked and Speranza bet 900,000, which was good enough to win the pot without showdown. This battle for the €1.1 million payday and gold bracelet is not quite over yet and the players headed into a 15-minute break. Who Will be Crowned 2017 WSOPE Main Event Champion?